Once physical therapy is formally over, many of our patients either go back to their gym or feel so good finally that they want to join a facility to either stay in shape or get back in shape. The problem is, the choices are overwhelming! Should you pick the “big box” health club? Is the community center best for you? 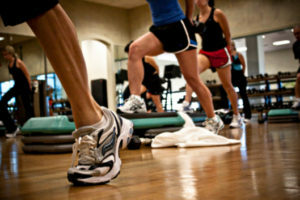 What about the high-intensity place with workout classes that you hear the “thump thump thump” of the speakers outside? Here’s some tips in choosing a place to workout. 1. Visit, take a tour, get a feel for the “vibe.” Seems pretty obvious, but the best thing to do is visit a place and go with your gut. Did you like the atmosphere? Are you comfortable working out in the atmosphere? What’s the clientele like? How does the intensity look to you? Is it clean? Is it family friendly? Is there a variety of personal trainers, or do they all look the same? In other words, are all the personal trainers “meatheads”, or is it clear that there is a variety of people that work with clients? All of those things are just a handful of considerations you should have when checking out a place. Make sure the workout facility you choose feels right and is a place you’ll feel comfortable going to. 2. Are there contracts? Many places make you sign a contract in blood. They may also make it very difficult for you to get out of or suspend it should something happen. Make sure you understand the house rules before you sign on the dotted line. 3. Know your injury history. So your friend really loves this new kick-boxing class so you want to give it a shot. Problem is, you just had knee surgery. Is kick-boxing the best thing for you at this time? If not, is there a way they can modify the classes for your injury? Many instructors, if you talk to them, will give you alternative exercises to do to accommodate your injury. If they don’t or if they tell you just to push through it, probably best to find another place. 4. Are there other exercise options? So you LOVE your group fitness class and are really seeing the benefits. Great! But what happens if you have a flare up and can’t do it? What happens if that class gets a little stale down the road and you want something new? Maybe you just aren’t in the mood for that class, but still want to get a workout in. In sum, it’s always good to have a workout facility that has lots of options for you – pool, high and low intensity workout classes, spin classes, yoga/Pilates, etc. 5. Understand what to expect. Do they have peak times where it’s crazy and you can’t get on a machine? Are their hours convenient for you? If you take the trendy new class, will you be able to keep up if you’ve never done it before? Are their introductory “level 1” classes before the “main” one? Are the classes filled with people 20 years younger than you? What kinds of activities are done in the class and are you able to do them and comfortable doing them? Is your personal trainer clear on what your interests, desires, goals are, or do they seem to be only interested in what they want to do with you? Our point is that we see people that just didn’t ask the right questions, start the class and don’t want to give up or leave, then end up hurt. Any respectable fitness instructor, personal trainer, or gym owner will take time to talk to you to make sure you feel safe and comfortable. If they don’t or blow you off, probably best to find another place. Choosing a place to workout can be stressful. There are many choices out there. Hopefully, this list of things to consider when choosing a workout facility gives you some things to think about. It would be a privilege to serve you and partner with you in your care. Give us a call! Remember you can see a physical therapist in Kansas without a physician referral. We have locations in Overland Park and Prairie Village to serve you.